McCloud Services is a leader in integrated pest management solutions, serving the food supply chain of custody, health care, hospitality, property management, retail industries and residential markets. With a foundation of 113 years of industry and market experience, McCloud Services carries out its mission to protect food, human health, and the environment while ensuring the safety of its employees and the public. McCloud Services is a regional service provider with locations in 11 states. I have always been happy with your service for me. I thank you for always being very professional and always doing a good job and if something wasn’t, right you came right out and corrected the problem. Steve did a great job at our lake house and was very thorough. He also did a great job on checking the outside perimeter of the house. The tech was very knowledgeable and explained what she was doing. Nice job by Rory. Knowledgeable, proactive and energetic about her work. Always very efficent. Looks me up to review findings before he leaves. Your service has an excellent account rep "Michael Hickey" for us and he works hard to make sure everything is good for us. He also make recommendations when he see's the potential for improvements. Thank you. Excellent service and great team! We are very happy with experts assigned to our locations Theo Davis and Stanford Arnold. McCloud has been very helpful in managing our pest Issues. Mark Shaffer is our Technician and does a great job servicing both of our facilities!!! His attention to detail is unmatched, his communication skills are high and our relationship has grown to the point that we each know what to expect from the other person. I know when I ask Mark to followup on a service question or purchasing new equipment, that he will followup and I don't need to worry about tracking him down. Great Job!!! The only thing I would add to the residential is a standing bait box scheduled refill instead of me have to call each month or so. Other than that the people (cust service) and service techs super responsive and nice. Theo is very thorough and professional with a great attitude. Great customer service and Tech was very helpful during our audits. Gest people to work with. McCloud offers a user friendly customer portal that provides great traceability, trends and most of importantly, it is all on-line. Their technicians provide great service, listen, provided accurate remedies quickly and have extensive knowledge of their field. Just to let know.McCloud is the best company in this industry. Great company to work with! Thank you for your service! Reviews initiated on behalf of the company outside the normal routine biweekly visits should be scheduled in advance. This allows for the attention that it deserves and does not catch personnel in awkward situations. Our technician is very attentive to the needs of the company going out of his way to make sure that everything is completed and buttoned up especially when there are upcoming customer audits. We are very pleased with McCloud Pest Management Solutions. We have been using McCloud for over 15 years and we have always had great experience with everyone that we deal with! Rory is excellent!! Great customer service and Rory knew exactly what to do and was very knowledgeable. She is AWESOME!!! Every company needs one of her!!! First time client so far we been happy with our service and quick response to any issue and tech has address any issue in our facility. The service tech was very nice and knowledgeable and took the time to show and explain how we can help take care if any issues. Technician always does a great job. Great service when same consistent technician is servicing the account. 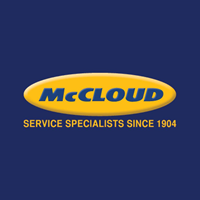 I have been happy with McCloud's service team from the beginning. Mark Shaffer has been a very good Technician....he is thorough, reliable and communicates well with me. Thanks and Great Job!!!! Thank you for your service. Great job . Florica. We are very happy with the service provided at our buildings. Great Service, great documentation. My customer experience with McCloud crosses three states-- Wi, IL, IN where we have plants and warehouses, and McCloud services them all. Our quality auditors give them high marks as well! Technician was extremely knowledgeable of the business and of what to look for in order to properly "diagnose" our specific situation. Gave some excellent advice as to what we could do to prevent future issues with the carpenter ants. Very friendly and thorough with her review of the property and neighbors property for their impact on our house. No pests since they started. Reliable and always checking to see how everything is, personal contact not just show up and run when done. Excellent service from your technician Ruben. He seems very passionate about his work & taking care of the customer. We look forward to his next visit. Bill Page is the consummate Pest Control Professional, he's really helpful with his sage advice and challenges me make my facilities better each year. Bill Rocks!!!!! Covering everything. we are good here. Went above and beyond to analyze situation. Good company to do business thank you guys.. The rep from McCloud Services, Patrick has been very helpful in regards to meeting my needs as well as the companies needs. He responds almost instantly and helps continue to develop our pest control program.